Perfect gift for Godparents! Frames arrived in a timely fashion and exactly as shown. Would definitely order again. Excellent gift for Godparentds!! Everyone loved them, especially the personalization. Giftsforyounow.com has a large assortment of Personalized Photo Frames and Personalized Godparent Gifts. We have a personalized frame for all of your special Occasions. 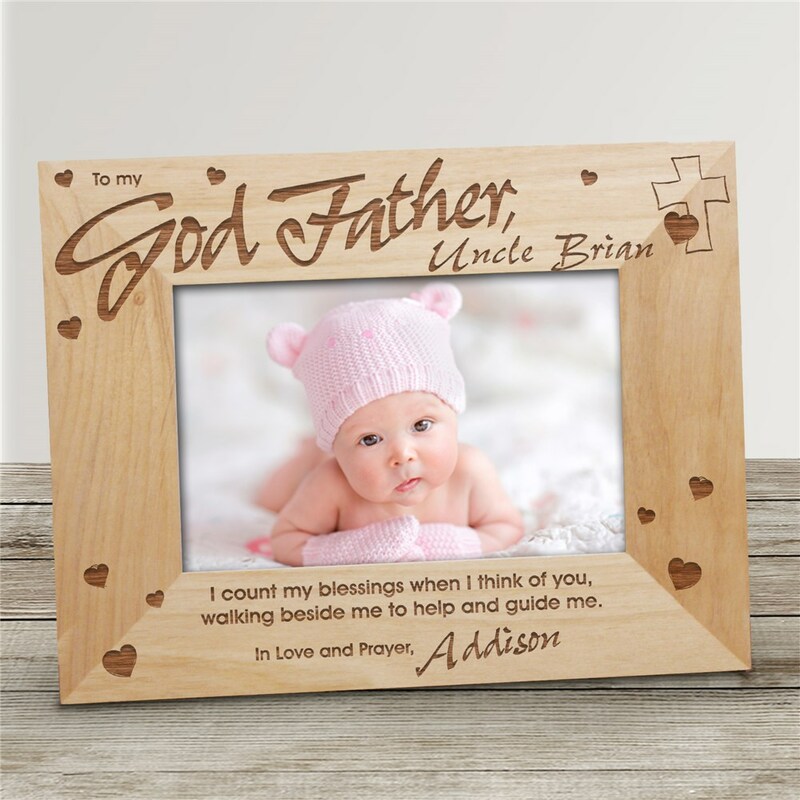 Personalized Birthday frames, personalized love frames, personalized wedding frames, personalized baby frames, personalized Christmas frames, personalized frames for your sister, personalized frames for your grandparents and personalized gifts for mom and dad. For everything personalized visit, GiftsForYouNow.com today.